Looking for a venue to run a class, or offer beauty therapies? 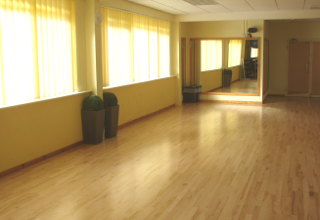 If you need a venue for your exercise or dance class, or a base from which to provide treatments or beauty therapies, why not enquire about hiring our facilities at The Fitness Bank. Room hire rates start at £10 per hour. Interested In Hiring Our Facilities? Contact Amy to discuss your requirements.